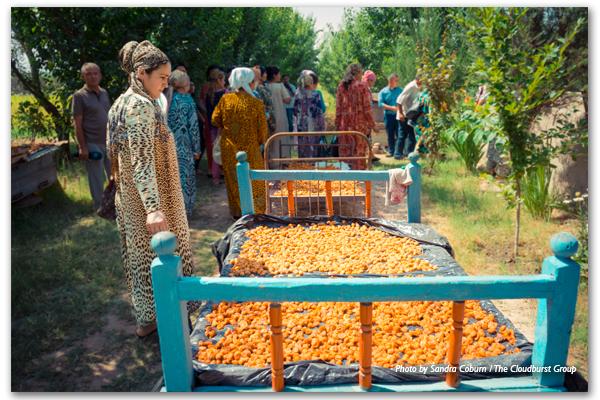 This post was written by Berkeley Hirsch, a Manager of Chemonics' Europe and Eurasia Division supporting USAID’s Feed the Future Tajikistan Land Market Development Activity, and originally appeared on LandLinks. Tajikistan’s arable land is limited, covering just seven percent of its territory. Without a land market, land cannot easily be transferred from less to more efficient types of use, hindering efforts to alleviate the country’s significant rural poverty and food security challenges. Tajikistan’s robust agricultural sector accounts for 57 percent of employment and nearly a quarter of the national GDP. The emergence of a land market is critical to spurring equitable economic growth and empowering entrepreneurial farmers to either expand their land holdings or lease them. These new opportunities are particularly relevant to Tajik women, who make up around two thirds of Tajikistan’s agricultural workforce. After the fall of the Soviet Union, Tajik men left the country in droves in search of better economic opportunities abroad, leaving behind female family members to care for the farms. Donor support, led by USAID, has consistently prioritized the establishment of a legal framework for protecting land holdings and helping women to overcome adversity as they exercise their land use rights. While donor efforts have helped make new legislation gender-equitable, Tajik women face barriers in taking advantage of their new rights. In some cases, it’s because they lack access to information about the new rights they have or how to exercise them. In other cases, it is the result of cultural norms which lead local authorities to block attempts by women to register their farms. 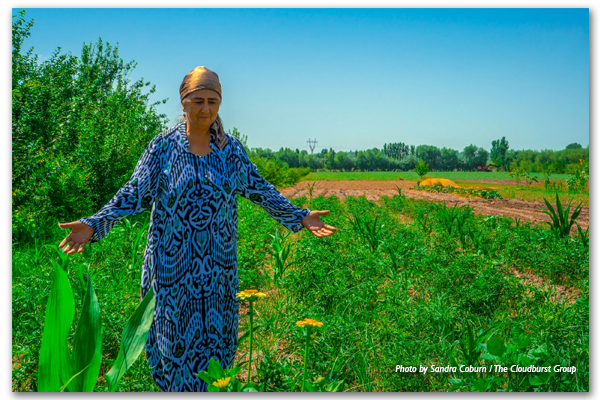 To overcome these barriers, USAID-supported projects borrowed from the land reform experience of Tajikistan’s neighbor, the Kyrgyz Republic, by establishing a network of local volunteer experts: tashabbuskors. Modeled on the Kyrgyz demilgechi network, tashabbuskors serve as local land reform experts with whom farmers can consult on a variety of issues, such as disputes with neighbors and settling alleged tax debt. When an issue requires legal support, tashabbuskors can guide farmers to a local Legal Aid Center to receive professional legal support. Through the Legal Aid Centers and tashabbuskor network, both LRFRP and the ongoing Feed the Future Tajikistan Land Market Development Activity (LMDA) help women and men understand and defend their land rights as land users under the emerging land use market. Check out this round-up of stories from a recent LandLinks newsletter for an important look at why land tenure is an essential element of global food security!